Isn’t it interesting that when looking for ideas on how to live more cleanly, we very often find ourselves looking back to how our ancestors lived? For my grandparents’ generation, Christmas holidays were a very different thing from what they are now. The culture of consumerism we see emerge every holiday now would have had no place back then. Christmas for them would have been about faith, family and community. Gifts were far fewer in number, but far greater in meaning and creativity. Decorations came from nature and the kitchen, and were most often handmade. The Christmas tree would have been cut down by the head of the house, and put up in a special place in the home. 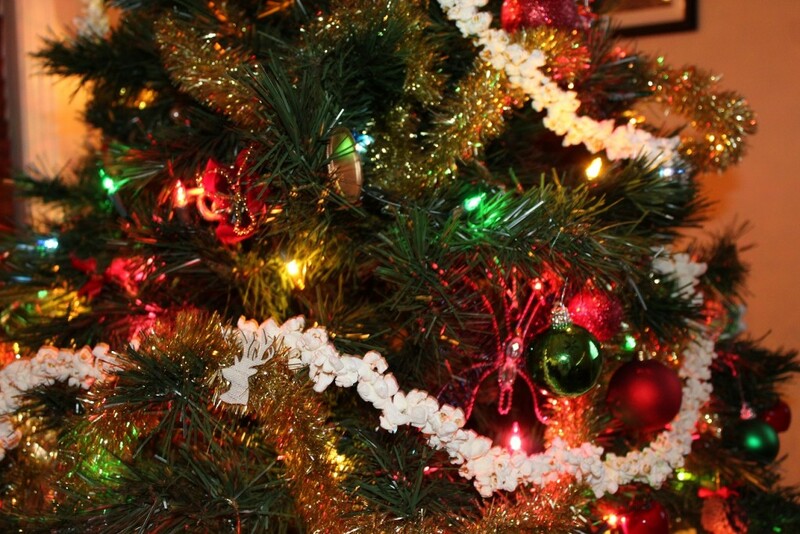 It would have been decorated with simple things – a garland made of popcorn or cranberries strung on some thread, or strips of coloured paper looped together. 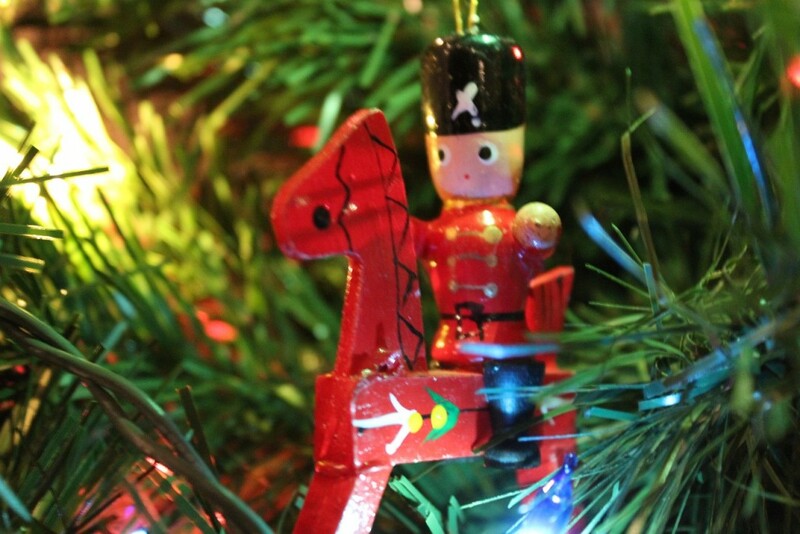 There would have been wooden ornaments that were hand-carved and hand-painted as well as knit or crocheted ornaments. Simple paper cutouts, decorated or plain would have been made. We still make paper snowflakes every year! 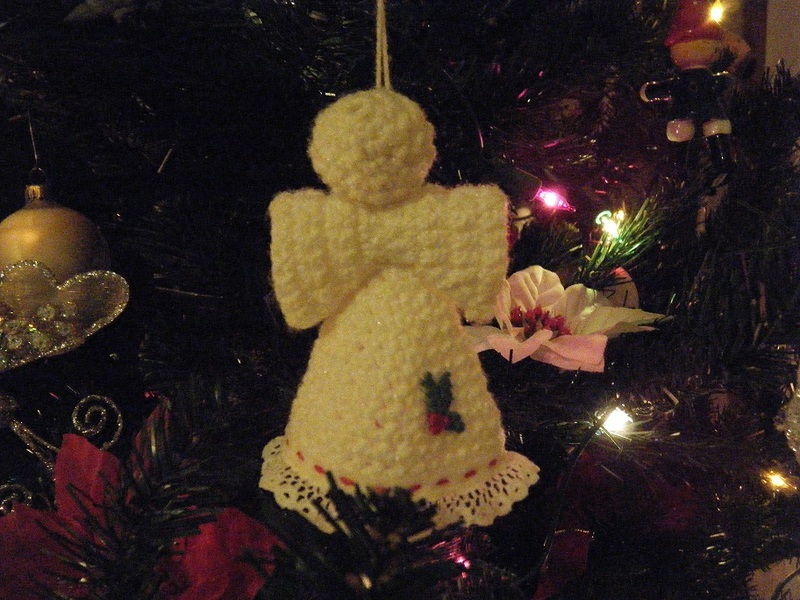 Spare buttons and scraps of fabric could be made into decorations. Ribbons, and even candles would have graced the branches. There probably would have been one or two family heirlooms as well, ceramic, glass or metal that were only brought out at this special time of year. The tree-topper would most likely have been a star or an angel. There is a good chance that the stockings hung by the chimney with care would have been socks that were worn regularly, and not a special Christmas stocking at all. And on Christmas morning, the typical contents of that stocking would have included an orange, a stick or two of candy, and a shiny penny. It’s amazing what you can do with sticks, evergreen boughs, pine cones, a bit of ribbon and some creativity! Walls and mantels would have been covered with these. After the holidays, the ribbons would have been saved, and the rest would have gone outside or into the fire. 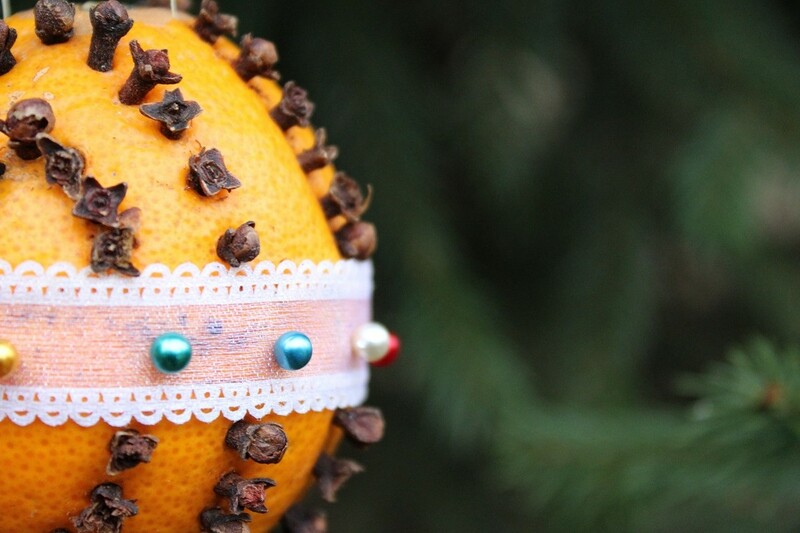 Orange and clove pomander decorated with ribbon and sewing pins. As a child, I remember making an old-fashioned orange and clove pomander. It’s pretty simple – take a firm orange, and stud it with whole cloves, in whatever pattern takes your fancy. Then, thread a large needle with some string or thread and run it through the orange to make a loop to hang it with. You could decorate it further with ribbon if you wish. You could roll it in other spices too if you wanted. Smelled so good! I thought the orange would go bad but it didn’t. It can be difficult to break away from the over-consumption of “stuff” that happens each holiday season, but with a little creativity and a willing spirit, even a small change over time can make a huge difference. Looking to the past for a better future – thanks Grandma!